Another pair of Hanzo jeans to put in the fade archives! Fadlan Minallah from Indonesia wore his CI-105-A’s which have taken on some serious character in a year and a half’s time. 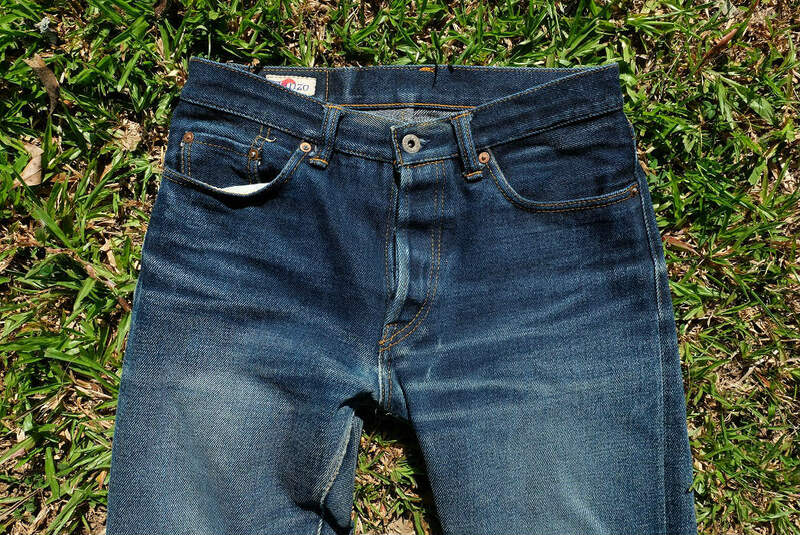 The overall shade of the jean has completely changed from an almost black indigo to the light shade it has today. His honeycombs are coming in thick thanks to the heavy 19 0z. denim fabric. And, as expected, his dutiful wear has resulted in a repair which only adds to the character.